Gary L. Kreps is a founding health communication scholar who currently serves as a University Distinguished Professor and Director of the Center for Health and Risk Communication at George Mason University in the Washington, DC metropolitan area, USA. 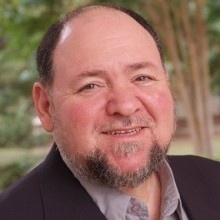 His research, reported in more than 400 books, articles, and chapters, examines the powerful roles that communication programs, policies, practices, and technologies perform in the delivery of care, prevention of health risks, and promotion of health, with a special focus on enhancing health equity for vulnerable populations. Gary co-directs the Global Advocacy Leadership Academy (GALA) program, with his colleague Paula Kim, preparing leaders of health advocacy organizations in many countries to improve health care delivery, research, and public policies. In the past, he served as the Chief of the Health Communication and Informatics Research Branch at the National Cancer Institute (NCI). At NCI he introduced many important national health promotion research initiatives, including the Health Information National Trends Survey (HINTS) to guide evidence-based health promotion efforts across the US. Over the past decade, he has expanded the HINTS research program to study at-risk immigrant populations in the US and to gather HINTS data in other parts of the world to promote global health.